A novel about life under enlightened totalitarianism in the twenty-third century and the efforts of a mild-mannered junk dealer to change the human condition. Primitive literacy is redundant. Mere words are expelled. We inaugurate a world of pure presence. The mind, that intrudes itself between ourselves and those memories too terrible to know, must keep us moving beyond the grasp of their claw. To control the flow, it will be necessary that political order be imposed always temporarily. The state shall enjoy direct, creative access to the real. It's the end of the twenty-third century. Earth has violently self-destructed. 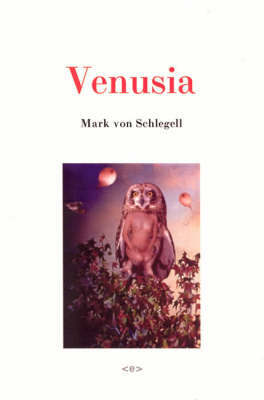 Venusia, an experimental off-world colony, survives under the enlightened totalitarianism of the Princeps Crittendon regime. Using industrialized narcotics, holographic entertainment, and memory control, Crittendon has turned Venusia into a self-sustaining system of relative historical inertia. But when mild-mannered junk dealer Rogers Collectibles finds a book about early Venusian history, the colony-once fully immersed in the present-begins losing its grip on the real. With his Reality-V girlfriend Martha Dobbs, neuroscop operator Sylvia Yang, his midget friend Niftus Norrington, and a sentient plant, Rogers wages a war to alter the shape of spacetime, and in the process, revisions the whole human (and vegetable) condition.